A difficulty in listening to songs using overdone tropes of love and hate, life and death, light and dark, is that every so often you hear an artist tackle one of those themes and actually do it justice. Suddenly you can't feel free to categorically disregard such projects unless you are willing to miss out on these gems. 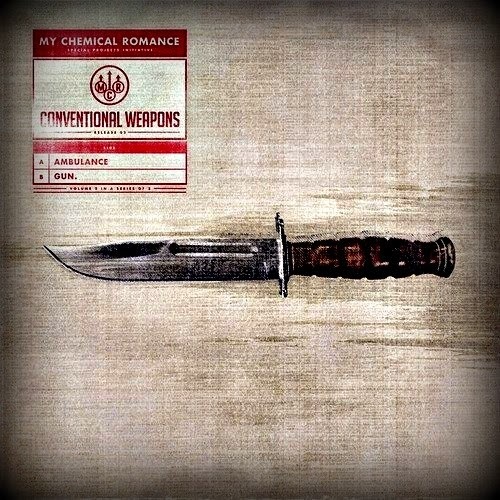 One such gem comes in "the Light Behind Your Eyes" by My Chemical Romance. All three dangerous pairs are present in the song's haunting lyrics, but instead of being reduced to mere dualities or paradoxes, they are brought into full life as dynamic, dramatically intermeshed forms of being. Songs that fairly touch Darkness are particularly rare. I hesitantly say that they "positively" imagine darkness. By this I do not mean that darkness is in all places good, nice and happy. I mean metaphysically positive. Darkness is a thing in itself, not merely a negative signifier. If we look closely at potentially the most negative moment of darkness in the lyrics we can see how the song performs its most nuanced vindication. "Sometimes we must grow stronger and / You can’t be stronger in the dark" appears to draw upon expectations that darkness is a place of loss, oblivion and despair. Darkness is something to be avoided. This however does not complete the line nor the thought. It continues up to the comma: "You can’t be stronger in the dark / When I’m here." The darkness then can be a place of absence, but it can have positive effects. The listener cannot grow stronger, more itself, if we are forever fully deployed in each other's existences. On some level which withdraws from sight, contact, and knowledge there forms a distance which allows for a being to become particularized and distinguished. Yes, Darkness can and does signify loss, but even this need not be negative. In previous posts I have described this positive experience of loss as Absence. Things de-part, re-move, change. Things become absent. But we feel their absence. Absence is a positive being, a dark angel, that comes to partially occupy the space left by another being. I say partially because absence is painfully humble. It points away from itself, even in cases where its gravity is so huge so as to create a black-hole in our lives. But even then, we never see into the center of the black-hole, only up to the event horizon. Looking along this horizon, as in astronomy, we know the presence of absence by its affects. In this critical sense, my favorite line of the song "Time becomes for us, you'll understand" has real significance. Time. Time-Space. The expanding, collapsing, or quivering fabric of the universe that physicists say produces our experience of time and space by so called "dark forces." They act, but we can't see them. No where can we point and say "look at time!" And yet we know time by its effects. Time produces change, it produces things, it produces us. Our shared lives are the effect of time. To say that Time exists (or more accurately "becomes") only for us may go too far. We are not the Be-All, End-All of Time. We can be, especially from our shared points of view, an end. To say that a journey (however important) never arrives at a destination is to count as meaningless all events (comings, beings, departures) that make up the world as we know it. There is a kind of glory even in tragedy then "when we say goodbye tonight." Death, departure, absence all had real positive value. We all too often treat the world as a series of shifting appearances and signifiers to be passed through with perfunctory care. Because things and absences are real, however they require real strength and support. It is (literally) for more than nothing that we say "be strong and take my hand." There are stakes. Things are worth fighting over and worth mourning. We can regret things and "be sorry that it ends this way" because choices manifest as the meeting of real things and real forces. There are contingencies in our lives and deaths that could run differently depending on what we do at these moments. This positively dangerous darkness brings us back to the song's repeated pleas: "Never fade in the dark / Just remember you will always burn as bright." Tradition would situate "dark" and "bright" as dualities, with the prior associated with the imperative "never" and the latter connected to "just remember you will always." However a closer reading reveals that "dark" and "bright" are connected by more positive logic. The opposite of "burn bright" (an action) is not "the dark" (a noun) but "fade" (a verb). The implication then is that one can in fact "burn bright" in the "dark." The image of burning darkness or a bright darkness is slightly paradoxical, but is no mere play on words in my experience of the world. Dark bodies and experience of absence can absolutely have a rich vibrancy of their own. "Remember" also finds itself positioned against "fade" and demonstrates what is at stake between a positive and negative reading of darkness. If we take loss, death, change and darkness as nullification then we become addicted to the motions and emotions that continually distance us from the real beings that retain relations to us. Fading is a motion that can turn that critical partial distance that allows for growth into a self-alienating void. In those mode, negativity becomes a kind of purity through which we divest ourselves of relations to all existence, things which we reduce to the mere accoutrements of suffering. Re-membering however affirms departed beings which nonetheless remain, however changed in state or relation to us. This also recognizes all the new or invisible (dark) things that act on our lives. We acknowledge their membership in this great democracy of coexistant, distinct, conflicting beings. It affirms that even a "lost" member (i.e. body part) is still a part of our corporeality, as is the absence that occupies the space of its de-parture (where it distinguishes itself from us). There is then an active and critical mode of remembering that is not merely crystalizing a thing or event in a static memory. Active remembering can be one way that absent things and dark bodies burn bright in our lives. This returns us to the frame of the song. While the majority of the lyrics would be more commonplace when sung by a dying soldier to her loved-ones safe at home. The statements that "I'll lose this fight" work with that trope. However the song inverts these expectations. The addressed audience of the song, "all of my friends," those who all "met tragic ends." The song is a lullaby but a lullaby for the dead (or ended). It is a song played for the darkness. The framing act of the song then is imagining that the darkness exists as a positive thing that can hear and know, fade and remember, be and always burn bright. That about covers the addressed audience of the song, but this reading would be incomplete without considering the audience that in practice received this music. 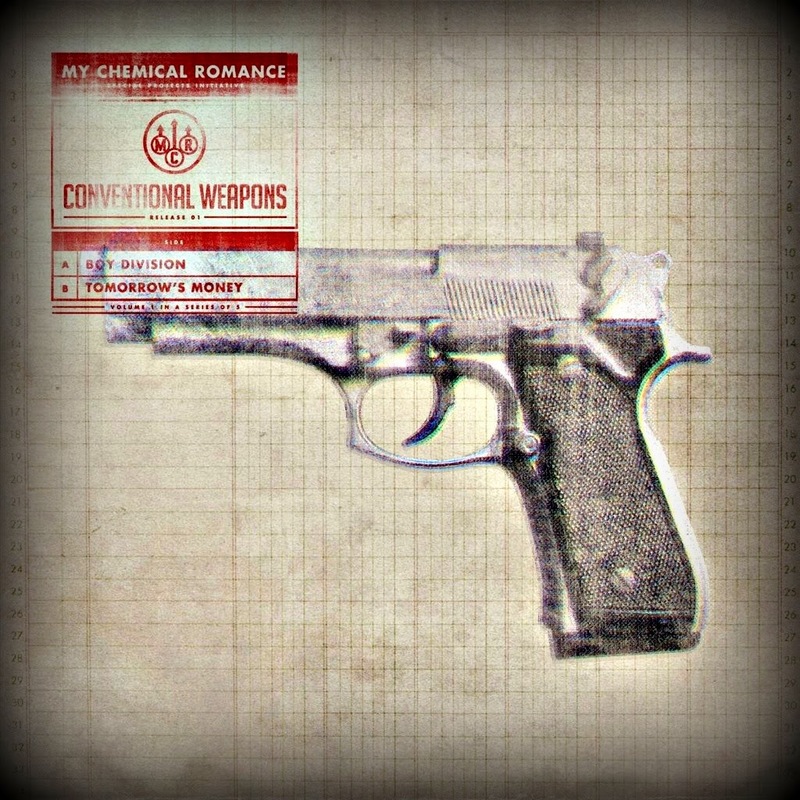 Who listens to My Chemical Romance? Who waits in line for an MCR show? I can tell you, since I've lived and listened among them. 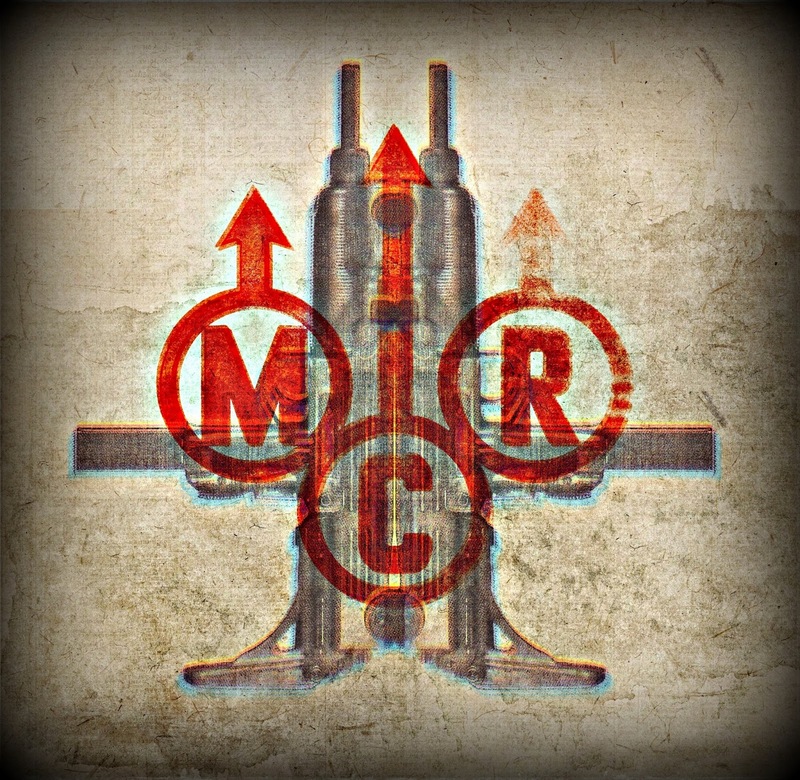 While there are a wide variation in ages and backgrounds, the core audience of My Chem's music are the cutters, the recovering addicts, the bullied. 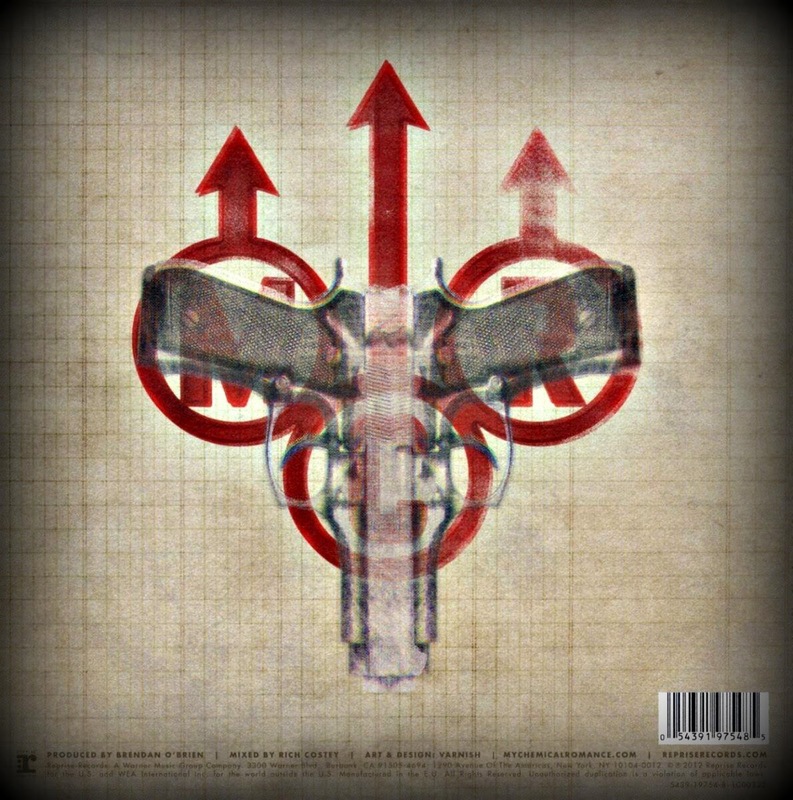 As the band titles them in a previous album, the Black Parade, they are "the broken, the beaten, and the damned." They are a lot of high-school kids. Many of them girls. 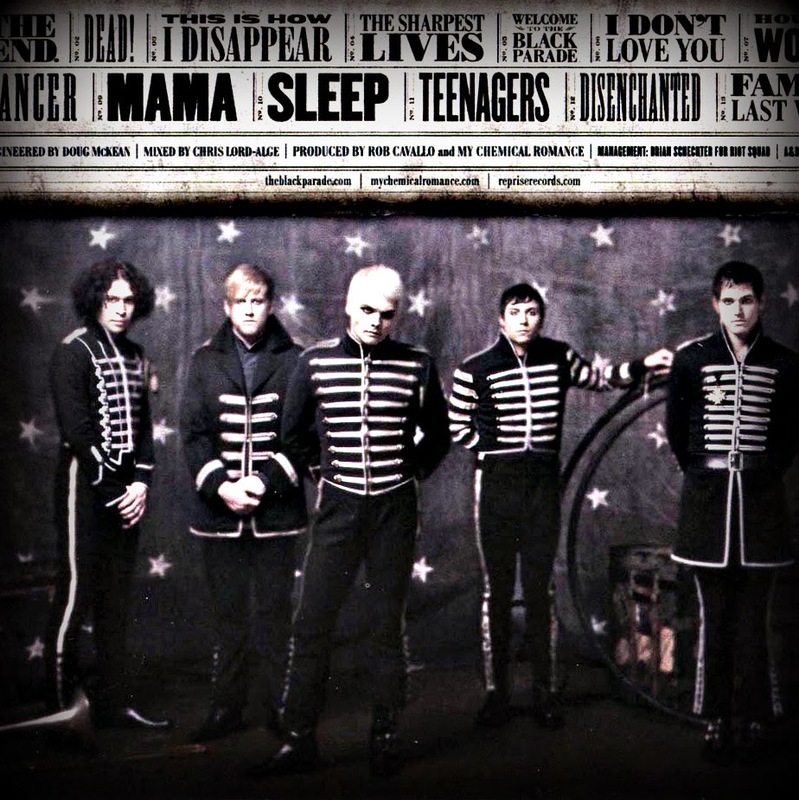 In some respects the title "post-emo" that often gets applied works because unlike other groups that claim the darkness (punks, goths, emos) the My Chem crowd are people who live in the darkness without being wholly content or resolved to it. As I said, these are not the kids who play with loss and pain as the culmination of their being, but the kids who touch them as transitory parts of life. The aesthetic and message of the band is not that this darkness is all there is or that it is all good, but nor is it (or its occupants) nothing or all bad. The audience is very generation Y, the millennials. The kids that experienced the world falling apart but still come out to vote for "Hope" and "Change." 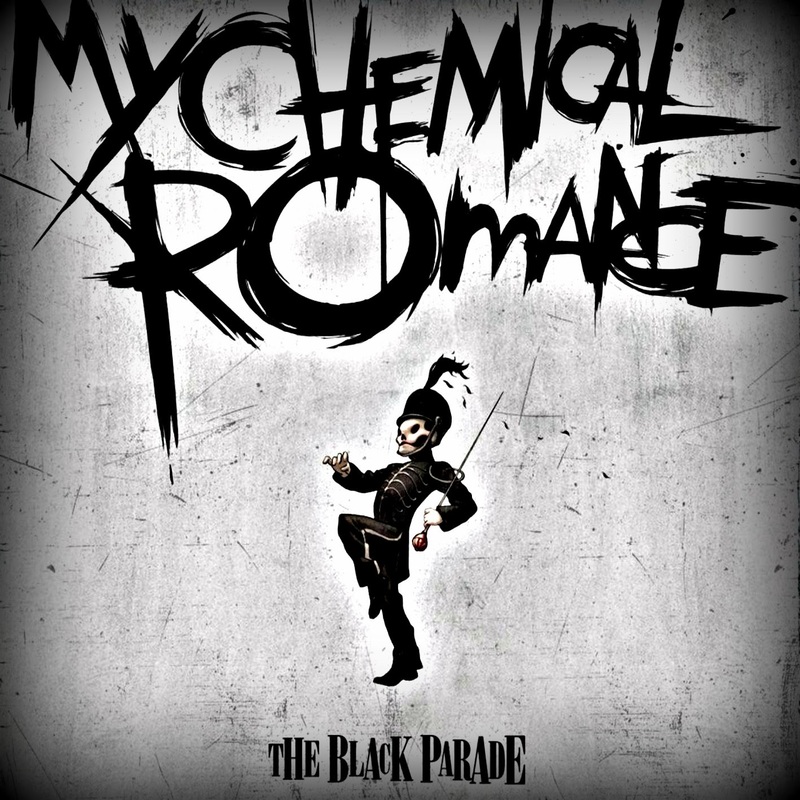 The kids that would follow a Black Parade, if the person on the mic is willing to say "Give a cheer for all broken / Listen! Hear! Because that is who we are ... and we carry on." 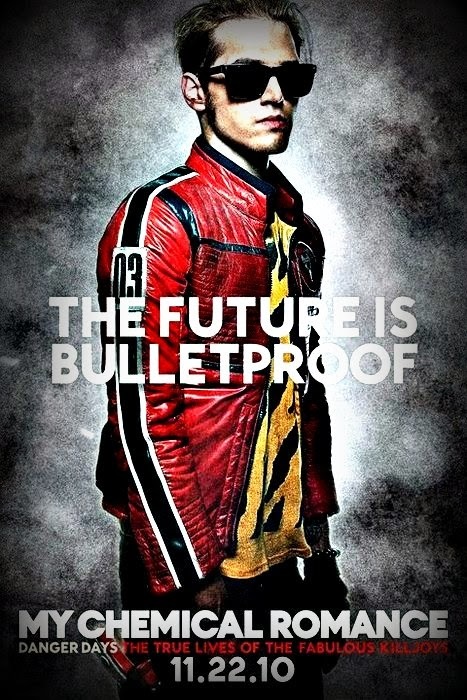 The song "the Light Behind Your Eyes" was played and developed during/after the Black Parade (2006-2008) but before their next album Danger Days (2009-2010). 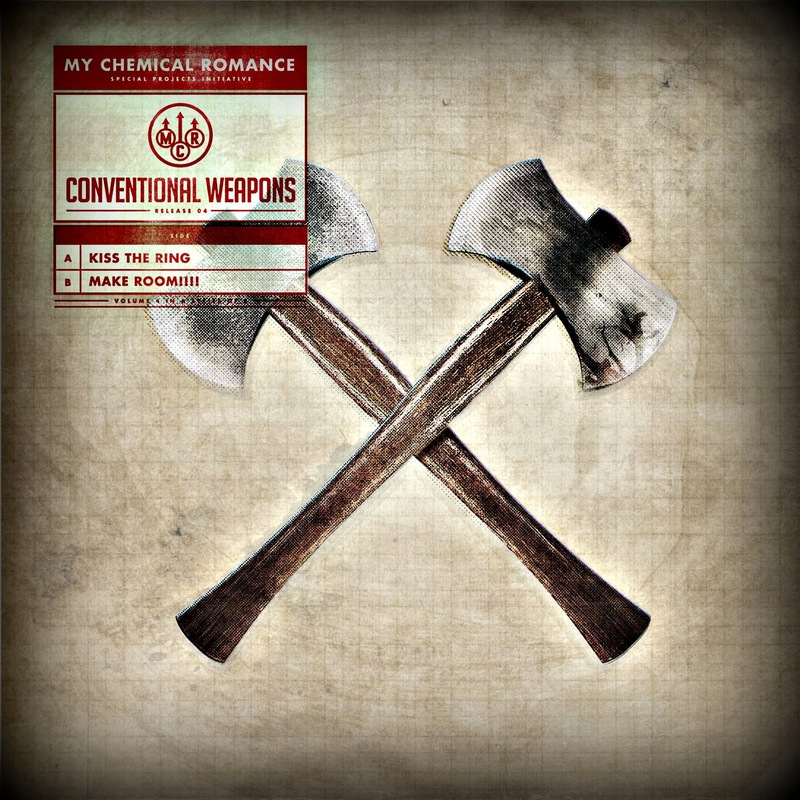 The song would be scrapped and put on the bands final set of EPs before they split up, entitled Conventional Weapons (2012-2014). These songs were written and intended to be released for that 2008/2009 moment but were held back. Why? 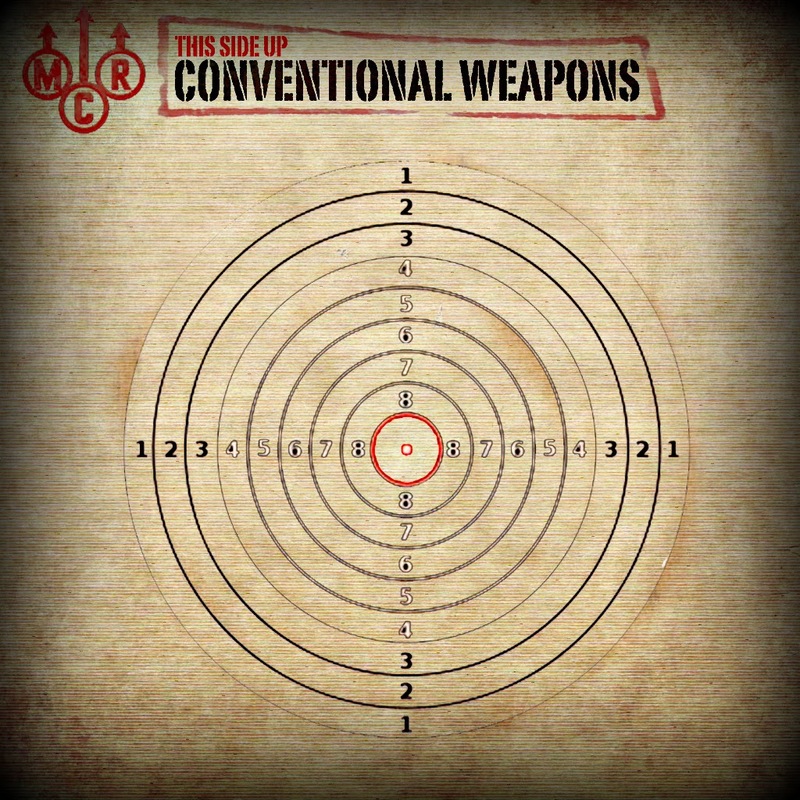 Many reasons have been offered and supposed, but one thing we can say is that in many senses Conventional Weapons and "the Light Behind Your Eyes" was far too fitting for 2008 to be released then. These songs tell the story of a moment of trauma, loss, death, chaos, and a world falling apart. In 2008 and for years after this is all we heard. 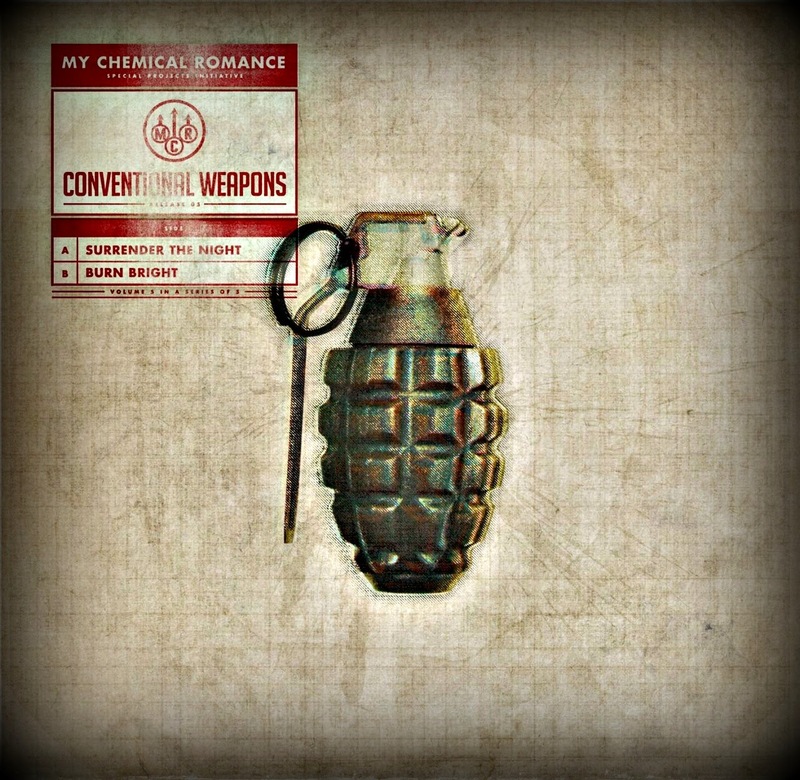 Instead of this message that would reinforce the sense of disorientation, MCR released Danger Days. The album was a concept record, telling the story of a band of scavengers surviving in the ruins of 2019. The worst has happened (war, famine, economic and social collapse), in other words all that people said would happen in 2008. 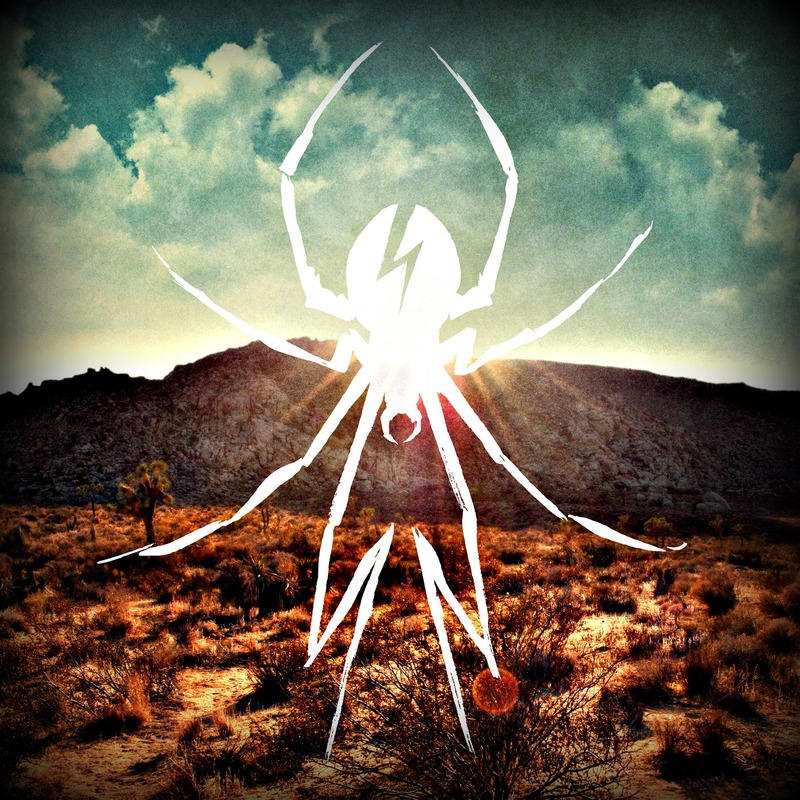 Set a decade later, Danger Days looked forward, even if it was at a Dystopia, to show all the life ahead of us. It gave hope, even if it was a grim, dark hope. 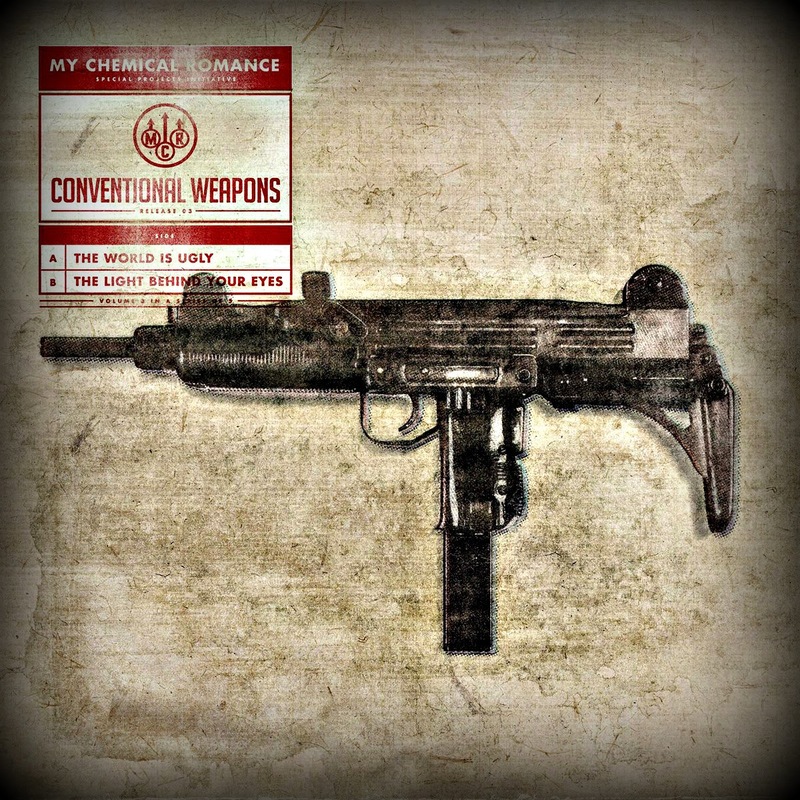 Thus only until just recently was it perhaps appropriate to release Conventional Weapons; i.e. 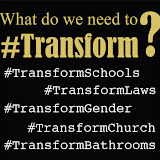 at a time when these traumas are not so timely and not so conventional anymore. We live now in a moment of austerity and drone attacks. It is helpful to remember a bit of the trauma to keep us from becoming settled in our present moment. In any case, these parades, dystopias and weapons are needed by this audience especially because they are young. They are not the people who started the wars but they are those literally fighting the wars. These are the young people who do not have jobs but huge college loans. These are not the children looking to deny nor glamorize the destruction, but those looking for how to live and grow in the ruins. These are the heirs to our world, a world with a lot of darkness ahead. As they play their music, remember, it may be us that are being sung to sleep. If you want to watch movies, play games or listen to music continuously, consider that your battery life will be much shorter. Adjusting the brightness can help to lengthen your battery life. You’ll probably see that maximum brightness is not necessary to use your iPad.